Following the release of acclaimed single ‘The Rover’, Interpol returns with another song off of Marauder (out August 24 on Matador Records), the unpolished and gritty ‘Number 10’. One of the loosest and most spontaneous tracks on the album, featured today as Zane Lowe’s World Record on Beats 1, the song tells the story of a secret office romance between Ella, a domineering boss, and her employee. Their pent-up (and unconsummated) desire is matched by the song’s anxious tone, with its surf-inspired bassline, dueling guitars, and punchy percussion building up to an unrestrained, yearning finale. 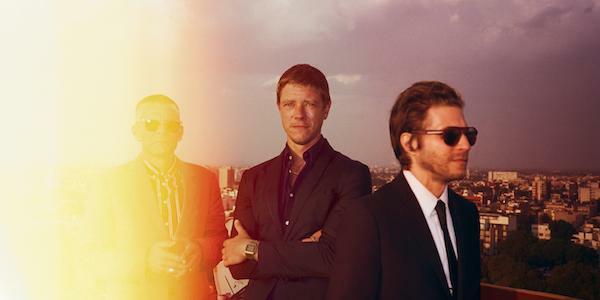 Having wowed massive crowds of European fans at TRNSMT, BST Hyde Park, and Roskilde festivals in the past few weeks, Interpol will return to the UK in November for two shows at London’s Royal Albert Hall, as well as a date at Manchester’s O2 Apollo.